The decade 1910-1920 was the bloodiest in the controversial history of one of the most famous law enforcement agencies in the world - the Texas Rangers. Much of the bloodshed was along the thousand-mile Texas/Mexico border because these were the years of the Mexican Revolution. Charles Harris III and Louis Sadler shed new light on this turbulent period by uncovering the clandestine role of Mexican President Venustiano Carranza in the border violence. They document two virtually unknown invasions of Texas by Mexican Army troops acting under Carranza's orders. Harris and Sadler suggest the notorious "Plan de San Diego," usually portrayed by historians as a plot hatched in South Texas, was actually spawned in Mexico by Carranza. This irredentist conspiracy, which called for the execution of all Anglo males sixteen and older and the establishment of a Hispanic republic, was designed to cause a race war between Hispanics and Anglos. One of Carranza's goals was to end the support being given by border residents to his rival Pancho Villa. The "Plan de San Diego" caused the governor of Texas to order the Texas Rangers to wipe out the insurgency along the border. This resulted in an estimated 300 Hispanics being killed by the Rangers and others without benefit of judge and jury. 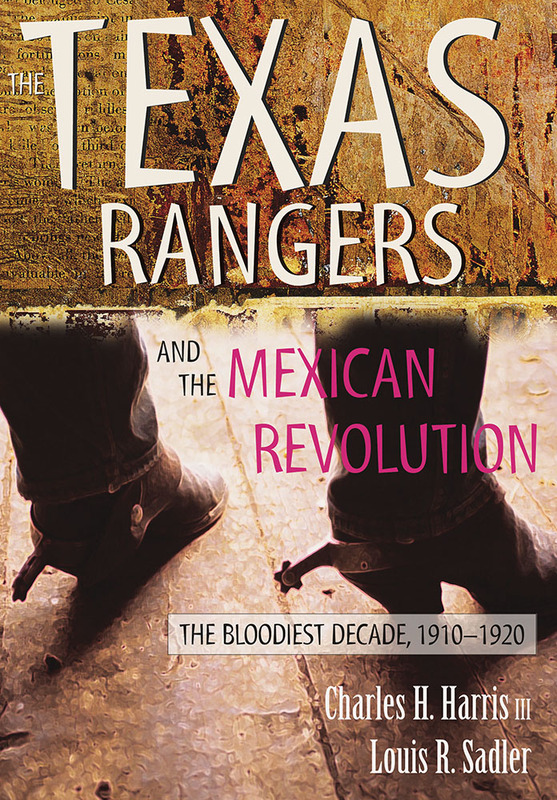 The Texas Rangers and the Mexican Revolution is the first Ranger history to utilize Mexican government archives and the voluminous declassified FBI records on the Mexican Revolution. Charles H. Harris III is emeritus history professor at New Mexico State University, Las Cruces. Louis R. Sadler is emeritus history professor at New Mexico State University.